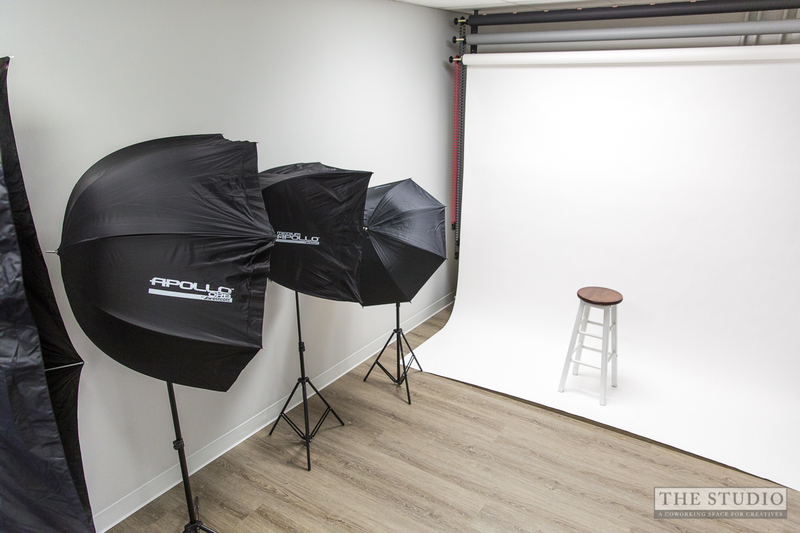 The Studio Holly Springs is a coworking space for creatives designed as the perfect photography studio for professional photographers. The studio lighting area features double width, mounted seamless backdrops complete with a pulley system to easily change backdrop colors. The studio houses a variety of options for your off camera lighting needs including multiple strobes and lighting modifiers of all varieties and sizes.